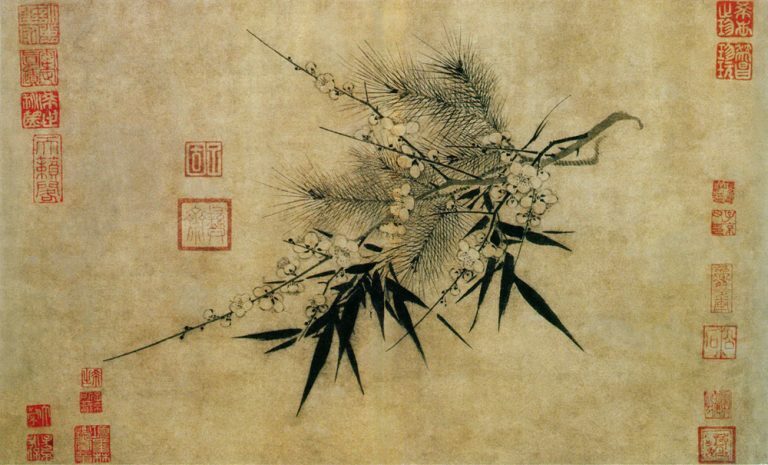 Guanyin Buddhist Temple’s application for reconstruction. Authorities claimed that the temple was an “illegal construction” even though it had all necessary permits. 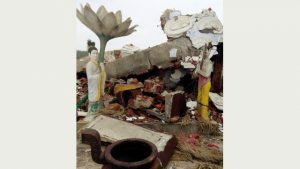 The demolished Guanyin Buddhist Temple stood within the limits of Weinan city in the northern province of Shaanxi, near the Qinling mountain range, where authorities have been cracking down on religious sites under the pretext of the fight against “illegally constructed buildings.” The demolitions have been so ruthless that even a temple previously designated as a “level-two national cultural heritage site” has not been spared either. 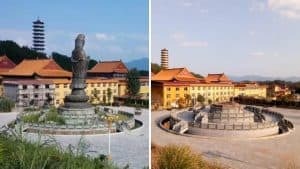 In late August, the demolition of Guanyin Buddhist Temple was jointly carried out by the local Land Management Bureau, Religious Affairs Bureau, and the local law enforcement. Within less than two hours, the ancient temple was turned into a pile of ruins. According to a source, government officials notified the person-in-charge of the Guanyin Buddhist Temple a day before the demolition. They said, “The satellite monitoring reveals that the temple’s construction is not up to standard. 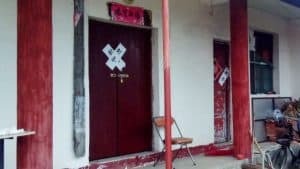 Also, it is located on a major traffic route on the roadside, which is considered the unauthorized occupation of land and unauthorized construction.” The officials cited the colored steel tiles and lack of religious activity venue registration certificate as reasons for demolition too. 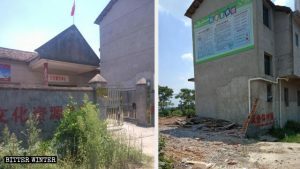 The demand for demolition came as a big shock, since the ancient temple was reconstructed in 2010 with the funding from local government, the Hua County Buddhist Association, the village committee, and other departments. 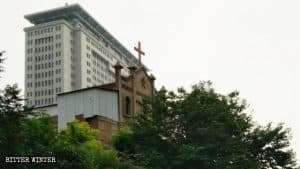 The local Land Management Bureau processed approvals swiftly, with records from the Religious Affair Bureau filed in it. 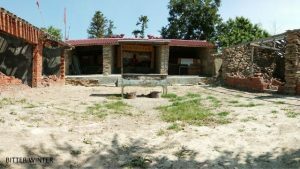 All administrative permits had been stamped and approved by relevant departments and so, it could not be called an unauthorized construction, claimed the temple’s management. 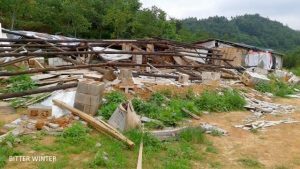 Despite this, the local authorities declared that it was an order from the central government and they had to go through the demolition, no matter what. The person-in-charge attempted to negotiate with the local authorities by saying that he had filed for necessary permits. But the officials responded that the householder activity license hadn’t been issued yet, so the argument doesn’t hold. “All of the monks who were originally at the temple had filed records with the local Religious Affairs Bureau. They also received temporary residence permits from the local police station and registered with the bureau,” the person-in-charge said helplessly. 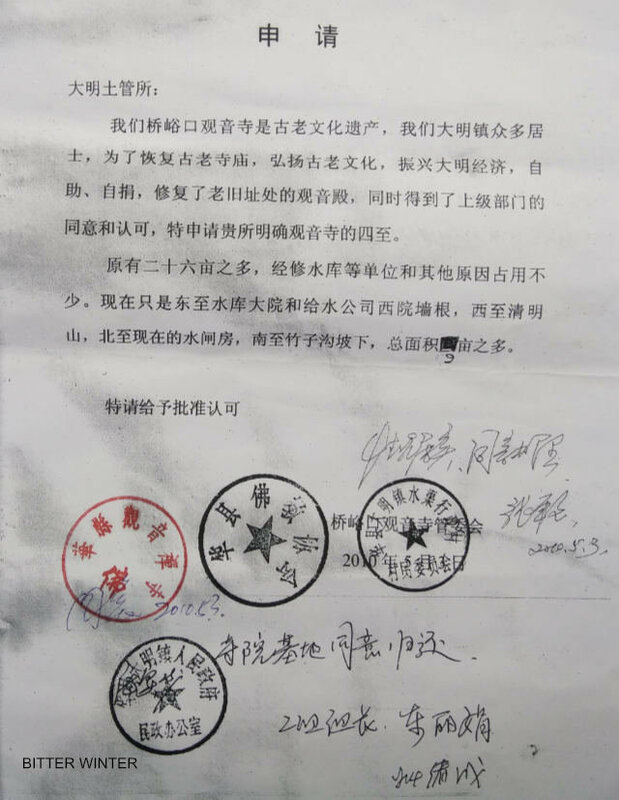 According to reports, the CCP had initially started with a crackdown against illegally built villas near the Qinling Mountains within Xi’an territory. 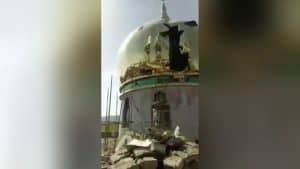 But the scope of this expanded quickly with the local authorities targeting various large open-air religious statues as well as folk belief and religious venues. Last updated on December, 2 2018.